Needless to say Los Gatos is quite busy and therefore many California residents rarely find time for upholstery cleaning and other related activities. This article provides a simple template of the types of activities that you might undertake in order to ensure that your carpets are clean. The schedule is based on the extraction method but the adjustments that you might need to make for other cleaning methods are not that significant. Office buildings should be cleaned at least once a year with particular attention being paid to the ground floor where most of the dust and dirt is found. A family residence follows the same patterns but the frequency is more intense if the occupants are smokers or pet owners. Toddlers also increase the residential carpet cleaning requirements. The fact that an office building or a school is dusty outside is a clear indicator that it is likely to have high carpet cleaning requirements. It is important to designed carpet cleaning solutions while bearing in mind the specific conditions that affect the property in question. For example if there is an epidemic in a nursing home then you have to clean as a matter of course in order to reduce the spread of the infection. Furthermore you need to watch out for areas with high humidity because they tend to attract more than those areas that are dry. It goes without saying that vacuuming should be done on a daily basis if possible. You should use a machine with a dual motor as well as an upright stance so that you do not hurt your back. Disposable filter bags are great because they mean that you do not have to clean things out all the time. 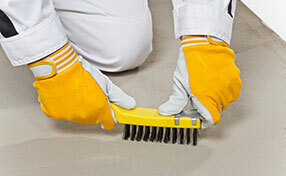 Spotting should also be done daily to deal with all visible stains before they become a major problem. Somehow you have to find a way to get the dust and dirt off the carpet. The encapsulation technique is particularly helpful because it ensures that you do not damage the fibers. Make sure that you use the right cleaning pads and a detergent that is capable of doing this kind of work. Twice a year you should aim to have some hot water extraction cleaning processes. 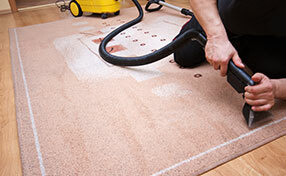 This will restore your carpets and make them fit for purpose. It is important to note that once the fibers of a carpet are damaged, it is very difficult to restore the piece to its old glory. Therefore a lot of work has to go into keeping the fibers safe. Most of the damage is done by soils. Therefore carpet cleaning is a must. Normally the fibers underneath are already damaged by the time the dirt surfaces on the top so you need to work fast and diligently. Those areas of the home that are very busy will obviously require thorough vacuuming. Deep extraction methods are called for. If you are going to use a professional carpet cleaner then you need to ensure that they are using a truck-mounted system. This allows them to work well. 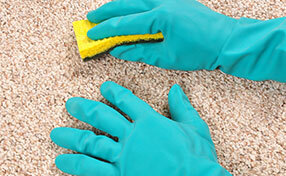 The importance of regular carpet cleaning cannot be over-emphasized.